Le Marche offers a wealth of activities for those who would like to get out and about. Many of these activities and sights are available throughout the year. This region is littered with beautiful towns and villages, many with ancient churches and small museums. Close by are San Ginesio (15 minute drive – walled town with beautiful church, elegant 18th century theatre and museum), Monte San Martino (15 minute drive – beautiful church with world famous Crivelli triptychs), Urbisaglia (20 minute drive – Roman ruins including an amphitheatre, medieval castello and elegant streets) and Sarnano (25 minute drive – lovely medieval old town, with museum). Further afield are the grand 18th eighteenth century cities of Macerata (40 minute drive), Fermo (40 minute drive), Tolentino (40 minute drive) and Ascoli Piceno (just over an hour’s drive), all with elegant streets, theatres, churches and museums. There are local markets every day of the week which sell everything from fresh fruit and vegetables, meat and fish, to shoes and table linen. The more sophisticated and substantial markets locally are found in Sarnano on a Thursday (25 minute drive) and Servigliano on a Monday (15 minute drive). There is also an antiques market in the main piazza in Fermo in the summer. 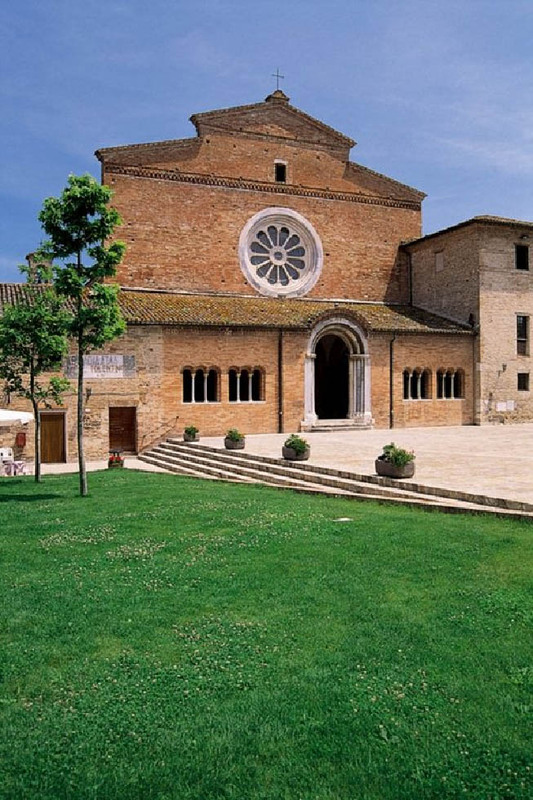 About 25 minutes drive, in the direction of Macerata, is Abbadia Fiastra, a former Cistercian abbey which has now been converted into a nature reserve. The abbey remains, and it is possible to look around it and an associated museum. There are formal gardens and then woodlands where it is possible to work or hire bikes and cycle. There are cafes, as well as a very good restaurant. About a 45 minute drive takes you to the coast, with a number of beaches to choose from. These long white sandy beaches are elegant, well maintained, with sunbeds and parasols for rent, volley ball courts every few hundred metres, and cafes, bars and fish restaurants running along the back of them. Favourites of the local villagers include Porto San Giorgio and Civitanova,, but other beaches a little further away include San Benedetto and Grottamare. The caves at Genga are an amazing sight. 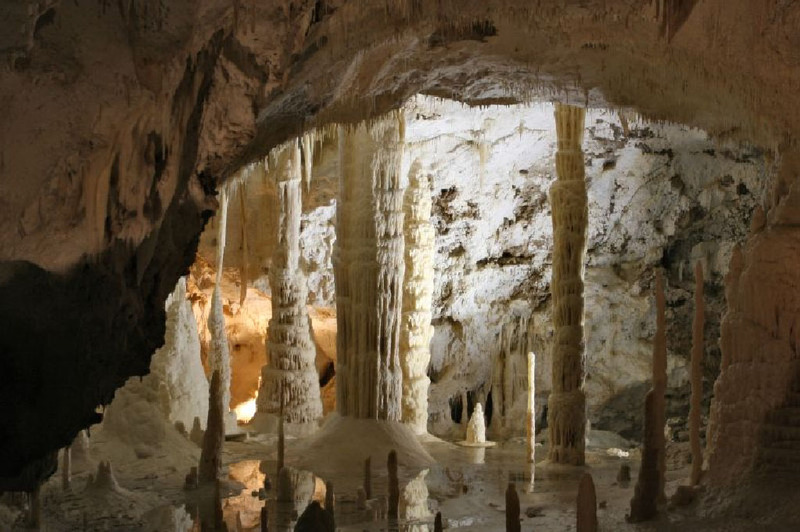 There are daily tours which lead you through a series of caves with small lakes and finally the Abisso Ancona – a cave 240 metres in height. There are local festivals nearly every week during the summer. Well known medieval festivals include those in Servigliano, San Gineso and Sarnano. The Quintana is a fantastic medieval jousting festival in Ascoli Piceno in the main square on the first Sunday in August. Most of these celebrations at some stage will involve (and often more than once) an enormous procession of people dressed in 15th century costume. 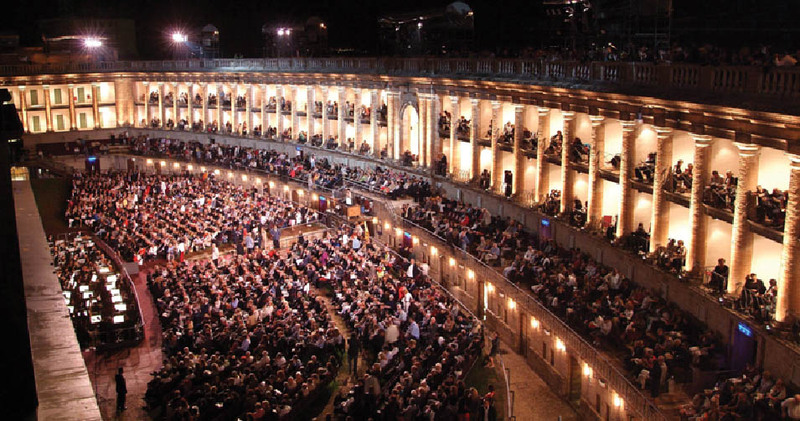 There is an opera festival every summer at Macerata’s open air ampitheatre called the Sferisterio. It seats nearly 3000 people and is of international quality. Have a drink (or a meal) in one of the squares around the theatre before the opera begins at 9pm (dusk). From leaving the house to having parked and walked to the Sferisterio takes about an hour. Horseriding is available at Le Querce in Sarnano. Solo or accompanied treks are available. Alternatively, group treks or private lessons can be arranged at a centre near beautiful Lago San Ruffino (San Ruffino Lake) near Amandola – tel 0736 847053. The golf course at Conero offers a championship standard 18 hole course for the keen golfer, as well as a 9 hole course more suited to beginners. Skiing is available during the winter months at Sassotetto near to Sarnano. Ski lessons from English speaking instructors are also available at the ski schools. The ski resort has ten drag/chairlifts, nine pistes plus off piste action available. At this Marche ski resort there are a couple of restaurants, ski, snowboard & boot hire plus ski pass sales. There is a regular bus service from Sarnano to Sassotetto. Bike hire is available from the town of Amandola, complete with bike racks for your hire car so you can enjoy a cycle trip around the National Park. The National Park offers some fantastic scenery, with different walking trails waymarked, some of which are highlighted as family friendly. 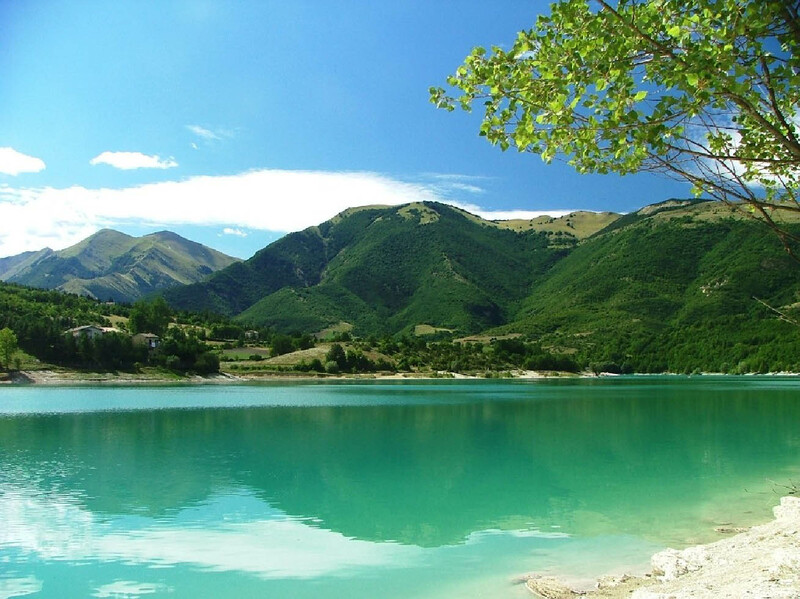 Lake Fiastra in the park is very beautiful and is used for swimming and kayaking in the summer months. There are two main waterparks in Le Marche. as well as some fantastic and very drinkable wines. There are, however, more sophisticated options too, with a number of local restaurants serving outstanding food. All of the restaurants are family friendly. A list of local restaurants is at the house. 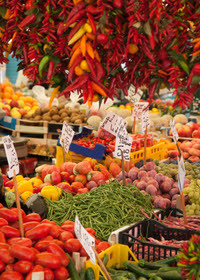 The Marche Voyager website offers lots of information about the area. A travel and tourism guide to Le Marche.